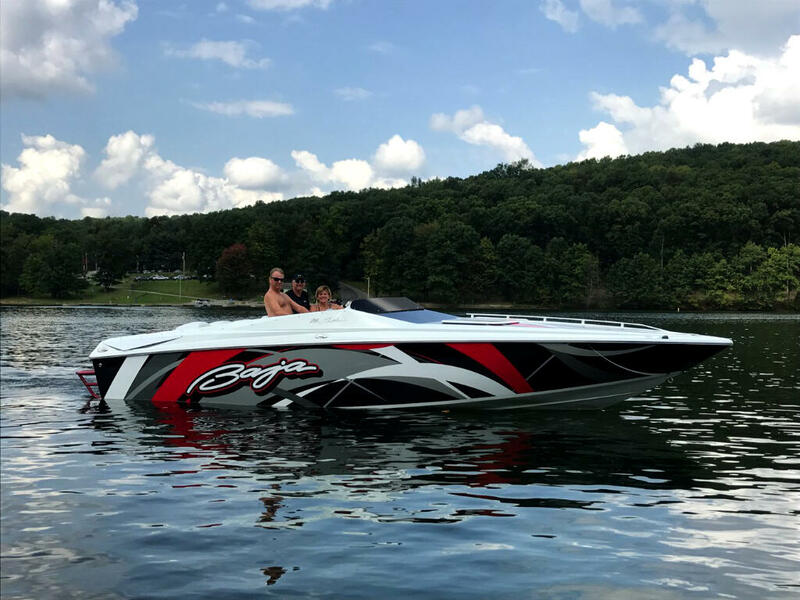 Used 2008 Baja Outlaw for Sale in Indiana PA 15701 AutoSport Co.
For sale is a stunning 26ft Outlaw Baja fresh water boat that is in excellent shape inside and out. This boat has been all gone through and reconditioned. The JL Audio system is brand new and has 2 JL Audio Subwoofers and 8 JL Audio Speakers. The Rockford Head unit is brand new and is blue tooth compatible. The interior of this boat is in excellent condition. The leather is in excellent shape inside and out. All the gauges are all Pro-Comp Marine gauges with GPS. The boat will do 79 MPH with the current prop set up. The engine is a 598 Big Block running around 800HP that is coupled to an IMCO lower unit with a Bravo X outdrive. All 4 of the batteries are also brand new. The all aluminum trailer is brand new as of August of 2017. For more pictures please call or email us and we will send them over. Message: Thought you might be interested in this 2008 Baja Outlaw.